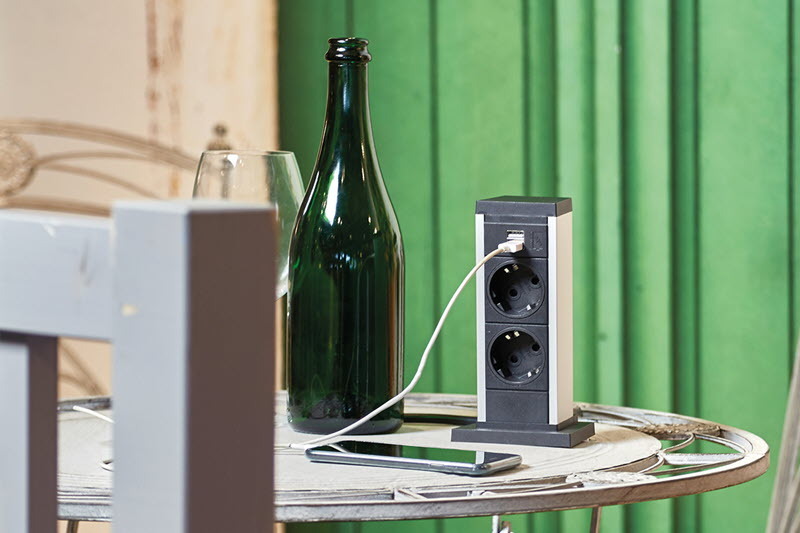 The EVOline Up is manufactured on customer order with international sockets and USB chargers. 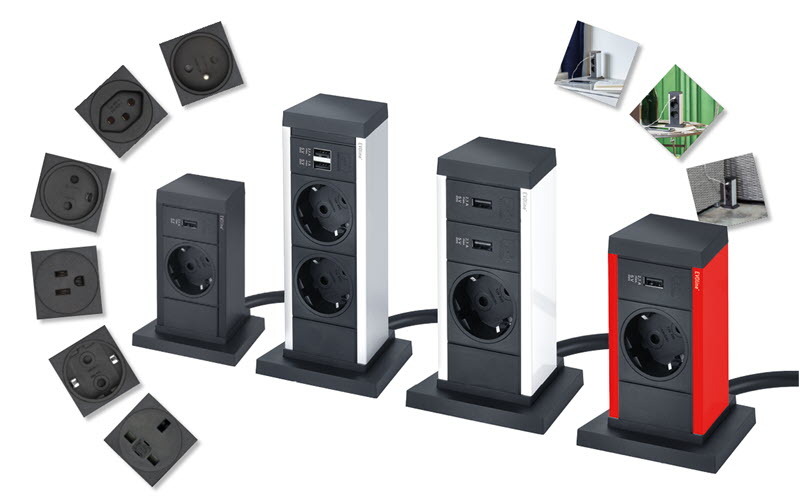 The integrated USB charger supplies mobile phones, trays, cameras, etc. with a charging current of up to 2.1 amperes. 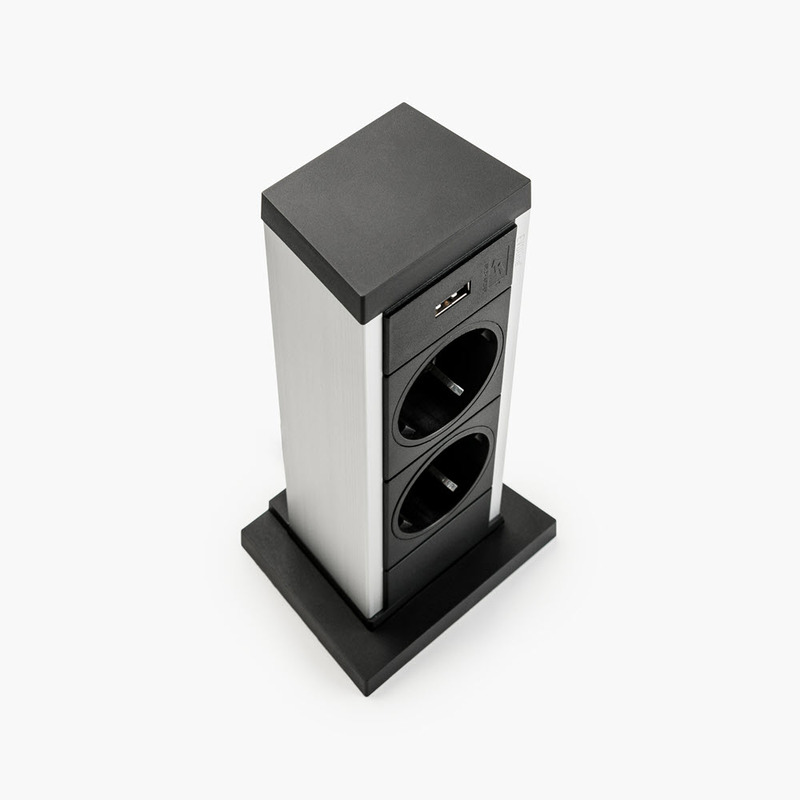 EVOline Up is particularly space-saving due to its stand and is nevertheless safe. 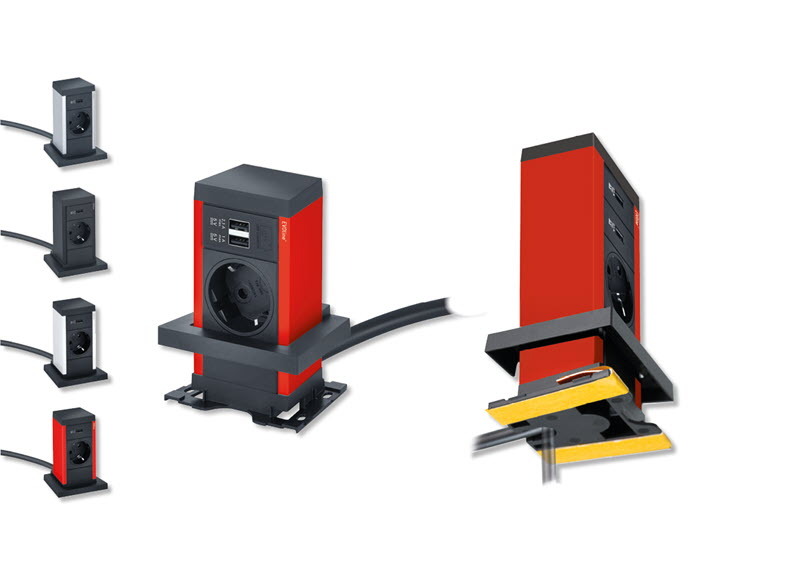 Slide stops, adhesive surfaces and screw holes offer various possibilities for setting up. Whether silver or black anodized. Whether white or red lacquer. The colors of the aluminum profile match your desk design.